For centuries, the Caucasus has been home to a multitude of people, languages and customs, but Mountain Jews are one of Russia’s most enigmatic peoples. Mountain Jews live in Nalchik, the capital of the Republic of Kabardino-Balkaria in the Northern Caucasus. Their culture is made from a mixture of Jewish and Caucasian elements and filled with rituals. 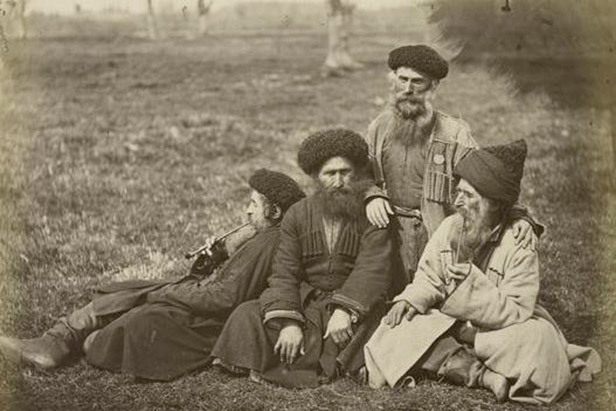 Mountain Jews or Caucasus Jews also known as Juhuro are Jews of the eastern and northern slopes of Caucasus, mainly of Dagestan and Azerbaijan. They are the descendants of Persian Jews from Iran. The language of the Mountain Jews, Juhuri, is an Ancient Southwest Iranian language, which integrates many elements of Ancient Hebrew. In the 18th–19th century, the Jews resettled from the highland to the coastal lowlands but carried the name "Highland Jews" or "Mountain Jews" with them. In the villages the Highland/Mountain Jews settled in a part of their own; in towns they did the same, although their dwellings did not differ from those of their neighbours. The Highland Jews adopted the dress of the highlanders. Judaic prohibitions ensured they retained specific dishes, and they enshrined their faith in the rules for family life.